In a time of climate change, growing ecological threats, and diverse global issues, a need exists to provide a voice for professionals, scientists, and advocates. The International Journal of Wilderness (IJW) strives to be part of that voice. We need your expertise, knowledge, and professional experience to continue addressing these important wilderness and conservation issues. 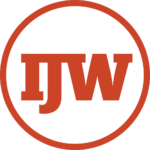 Please consider contributing your scholarly and professional work to the IJW. We pride ourselves in being a publication that fosters young professionals, unique issues, and case studies that demonstrate critical management implications. We work with authors and contributors to give them an opportunity to reach a broad and diverse audience through their efforts. Since 1995, each issue of IJW contains peer-reviewed research articles and feature presentations from numerous countries, as well as book reviews and additional online content. Our website, www.ijw.org, also provides a free, downloadable archive where you can access full copies of every past issue in an easy to read online format and available for download (PDF). Visit our website to learn more about our submission process, or contact Dr. Bob Dvorak, the IJW’s Editor-in-Chief, to further discuss your ideas or areas of interest. We are currently compiling and reviewing materials for the August 2019 issue. Please take advantage of this opportunity to provide a voice for wilderness and protected area conservation! The IJW is the tool of choice for wilderness and protected area experts and practitioners, produced through a unique collaboration between the WILD Foundation and its many partners and sponsors. The IJW links wilderness professionals, scientists, educators, and interested citizens worldwide with a forum for investigating and discussing wilderness research and practice, while also examining issues related to the sustainability of wildlands internationally, community involvement in protected areas, and policy issues.